Barwell is a village in south-west Leicestershire, near the town of Hinckley. Like other villages near Hinckley, including Stoke Golding and Dadlington, early nonconformity was strong in Barwell. In 1669, when open dissent was illegal, several religious meetings had been held in the houses of John Onebie and William Paget in the village, attracting ‘great numbers of people of all sorts’, at which Matthew Clarke, the ejected minister from Narborough and Mr Shuttlewood, another ejected minister, both living in Stoke Golding, preached, as did a Mr Biggs of Earl Shilton. In 1676 there were said to be 224 ‘conformists’ in the parish, one ‘Papist’ and six ‘nonconformists’. Rector John Hull enumerated 120 families in the village in 1706, two of which were Presbyterians and two ‘Anabaptists’, and these two denominations were the only ones mentioned in the village in 1709 and 1712. Meeting places were registered in 1720 and 1732, although there is no indication of the denomination. By the 19th century, the main denomination of non-conformity was Methodism, including both Wesleyan and Primitive Methodists, and the extent of this was significant. The earliest evidence of Wesleyan Methodists is of a chapel erected in 1797. This was described in White’s Directory (1863) as a ‘large brick building’ that was expanded in 1829 at a cost of £200. The Return for Religious Meeting Places taken in that year counted the number of Wesleyan Methodists at 350. At the time of the 1851 Religious Census, the chapel contained 400 sittings, of which 110 were free; the census form also noted 200 sittings in the Sunday School. On census day, two services were held, in the afternoon and evening, with attendance marked at 250 and 200 respectively. The same figures were given for average attendance. As for Sunday School, sessions were likewise held in the afternoon and evening, with attendance marked at 180 and 60 both for census day and average attendance. After 1851, the chapel underwent further improvements. In 1867, it was enlarged, and a new chapel was built in 1903-4, with 750 sittings. Nationally, the Wesleyan and Primitive Methodist churches united in 1932. 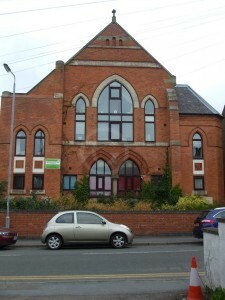 In Barwell, the two buildings were retained, with the former Wesleyan chapel becoming Chapel Street Methodist Church. A new church on Chapel Street was built in the late 20th century. The first source to record Primitive Methodist specifically is the 1829 Religious Return, which counted them at 50. A chapel was erected in 1833, containing 100 sittings (all free) at the time of the 1851 Religious Census. This latter recorded two services, held in the afternoon and evening, with attendance on census day recorded at 60 and 70 respectively. Average figures were not given, and there is no mention of a Sunday School. A new chapel was erected in 1853, on the same site as the 1833 chapel, at the south end of High Street. This was replaced by a new Methodist Church on Shilton Road, erected in 1902-3 (see image at top of page), with 500 sittings. 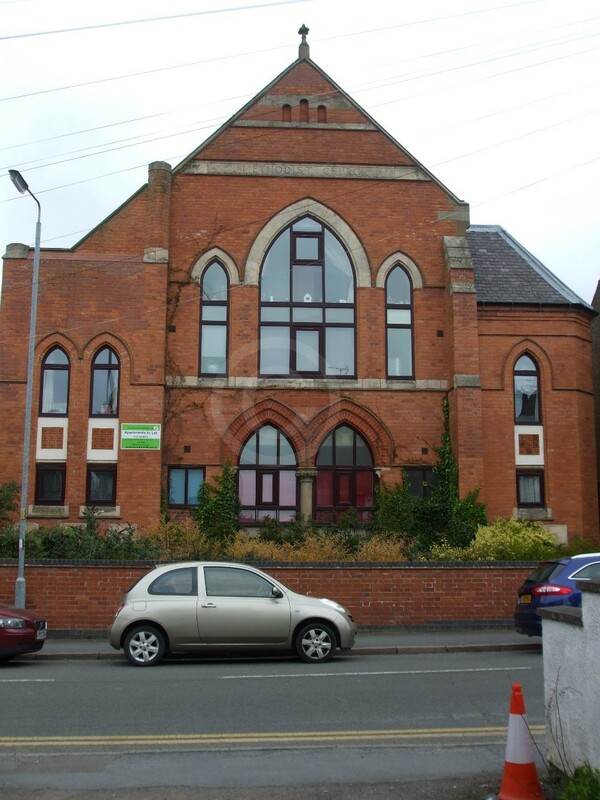 Following the merger of the Wesleyan and Primitive Methodist churches in 1932 to form the Methodist Church, this building and congregation became known as Shilton Road Methodist Church. 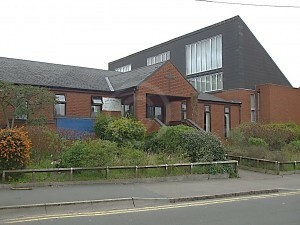 By 2016, the building had been converted into flats, and the foundation stones obliterated. ‘Nonconformists in Leicestershire in 1669’, Trans LAHS 25 (1949), p. 125. J. Broad (ed. ), Bishop Wake’s summary of visitation returns from the diocese of Lincoln, 1706-1715. Part 2, Outside Lincolnshire (Huntingdonshire, Hertfordshire, Bedfordshire, Leicestershire, Buckinghamshire) (Oxford, 2012), p. 870. Leicestershire and Rutland County Record Office (ROLLR), list of religious meeting places in Leicestershire, entry for Barwell, QS 44/1/1, rot. 2 and 4v. White, Hist. Gaz. & Dir. Leics. (Sheffield, 1863) p. 648. Religious Census of England and Wales (1851), entry for Wesleyan Methodists, Barwell, HO 129/412/31. 1829 Religious Return, QS 95/2/1/148. 1851 Religious Census, entry for Primitive Methodists, Barwell, HO 129/412/30. Kelly’s Dir. (1908) p. 35.